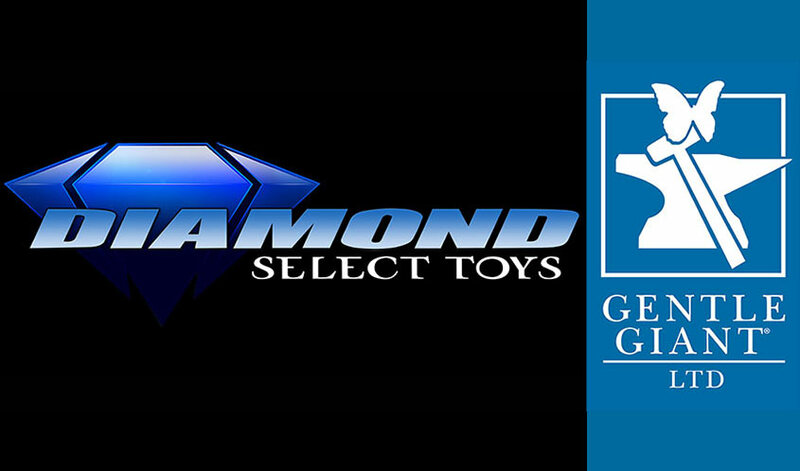 Diamond Select Toys & Collectibles (DST) is in the final stages of purchasing select assets of Gentle Giant Ltd. On Feb. 1, the company assumed operations for all of Gentle Giant‘s existing licenses and established plans to release both previously developed and newly created busts, statues, and scaled-up vintage action figures. As DST finalizes their purchase, they will take over manufacturing and distribution of many of Gentle Giant’s key product lines. Known for their high-quality busts, statues, and action figures, Gentle Giant announced a move into mass retail at Toy Fair last year, with multiple lines under the Gentle Giant Toys banner. The lines never arrived, and layoffs recently occurred. As the Gentle Giant Ltd. name becomes a part of DST, it is important to note that Gentle Giant Studios is not involved in this acquisition and will continue to operate, performing sculpting services for a variety of clients, including DST. According to DST, Gentle Giant’s collector club, the Premier Guild, will continue to operate and function. DST has pledged to fulfill any outstanding exclusives and rewards to current members, and to expand on the club’s scope going forward. Each license previously held by Gentle Giant Ltd. will be evaluated and discussed, and updates will be announced.